It’s time to treat yourself for the holidays with a brand-new luxury SUV! At Jaguar Colorado Springs we are running a special until 11/30/18 on our full 2018 Jaguar E-PACE SUV inventory! Hurry in to take advantage of a $4,000 allowance credit on the purchase of one of these beautiful SUVs. The 2018 Jaguar E-PACE is a versatile luxury SUV that can seat up to five people comfortably in its plush leather interior. It gets an estimated 21 MPG city/28 MPG highway fuel economy with a 2.0L turbocharged engine paired with a 9-speed automatic transmission. The features that come with some of these models are also spectacular, like a passive entry push button start, Cold Climate Package, heated windshield with heated washer jets, and rearview camera. 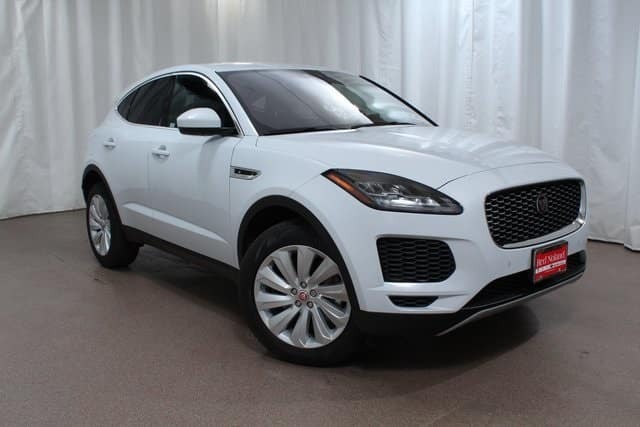 Plus, any 2018 Jaguar E-PACE purchased though Jaguar Colorado Springs is backed by the Jaguar EliteCare best-in-class coverage of 5 years/60,000 miles! So stop in today to take a look and even take a test drive!